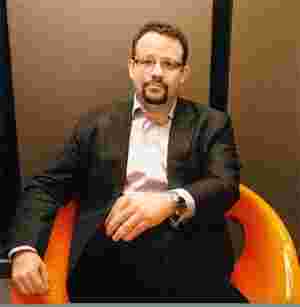 Note-worthy: Libin believes 2011 will be the year of ‘ubiquity’. Like all the best Web 2.0 start-ups, Evernote has a simple modus operandi—it wants to be an extension of your brain. It’s a Web application that you file notes into—ideas, pictures, documents, Web pages, videos—and access whenever (and wherever) you need them, be it for creative projects or routine chores. Tell us a little bit about Evernote’s origins. It has a connection to Apple’s aborted personal digital assistant (PDA) project, Newton, correct? That’s right. The core Evernote research and development team was started by Stepan Pachikov, this brilliant Russian-American scientist. He was part of the team that worked on the handwriting recognition technology in the Apple Newton. In a way, Evernote is conceptually similar to the work he did for Newton. The idea of an infinite memory that helps you store everything connected to your life started with Newton, as did the idea of a universally accessible memory bank. 2010’s been a good year for Evernote. You’ve just hit more than five million users. What’s the plan for the immediate future? The scene for 2011 is ubiquity. We think of Evernote as an extension of your brain, and that works only if you try to be everywhere, in every language and on every device. Any specific plans for India? India is our next big, interesting market. We’re hoping to come down there sometime early this year to figure out what we can do. The raw size of it, even in terms of (the) minority of Internet users, is larger than most developed countries. The thing I’m hoping will happen with India is what’s happening to us with Japan—lots of innovation comes out of Japan for Evernote. Half of our developers are based there, creating awesome functionality. I hope India becomes a similar hub for us. What features does Evernote hope to add? The possibilities are limitless— whatever you keep in your brain, we want you to be able to keep in Evernote as well. Where we draw the line is “social". Evernote is meant to be primarily private. We think the social part is already well represented by great companies online. We’d like to be the signature company for private data—what our users don’t share. How have paid and premium accounts worked for you? What we’ve seen is that the longer you use Evernote, the more valuable it becomes to you. Here are the stats: One half of 1% (0.5%) of users pay for a premium account within the first month. Evernote has been around for about two and a half years—so among the longest users, more than 20% are paid customers. So the conversion rate increases from less than 1% to 6% after one year to 20% over two years. Because of that, we work to maximize revenue in the long term. It’s in our interest to want people to stay with Evernote and continue using it. Our strategy, essentially, is to get people to fall in love with the product.